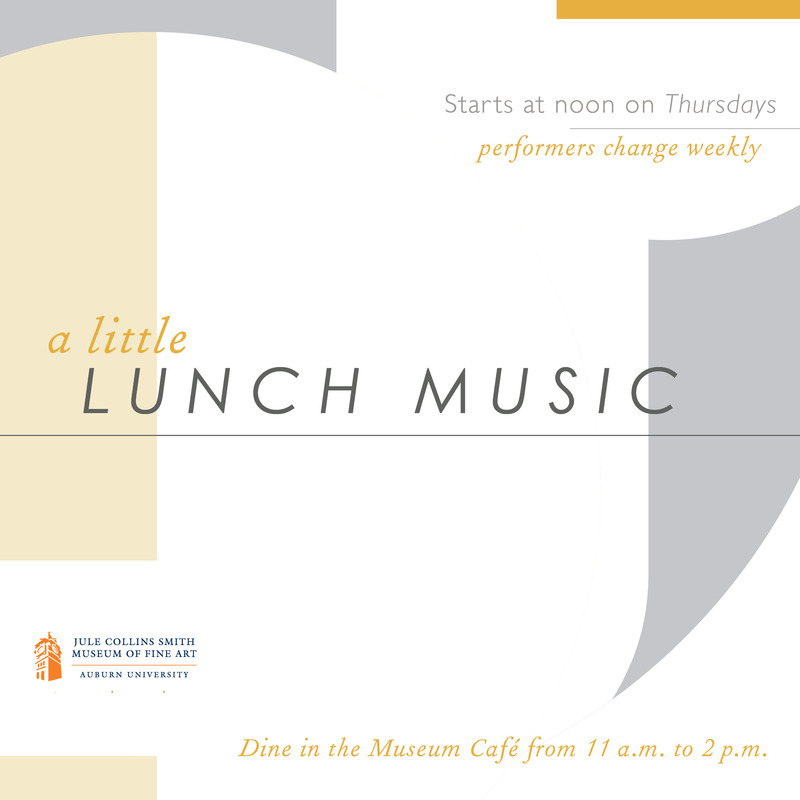 At noon on Thursday, April 28, the Auburn University Cultural Music Society will perform a free concert at Jule Collins Smith Museum of Fine Art, Auburn University as a part of the museum’s weekly series, “A Little Lunch Music.” The performance is being sponsored by Anonymous Friends of the Series. Sam Price co-founded and helps lead the student organization. He said the program will include sounds from the near East such as Iranian songs, Turkish music, and folk music from the Bengali region of India and Bangladesh. Western music featured will include a Hawaiian song about cowboys, music from Cuba, and a well-known US-American rock song interpreted using instruments from around the world. The group will also perform instrumental music composed by members of the group. 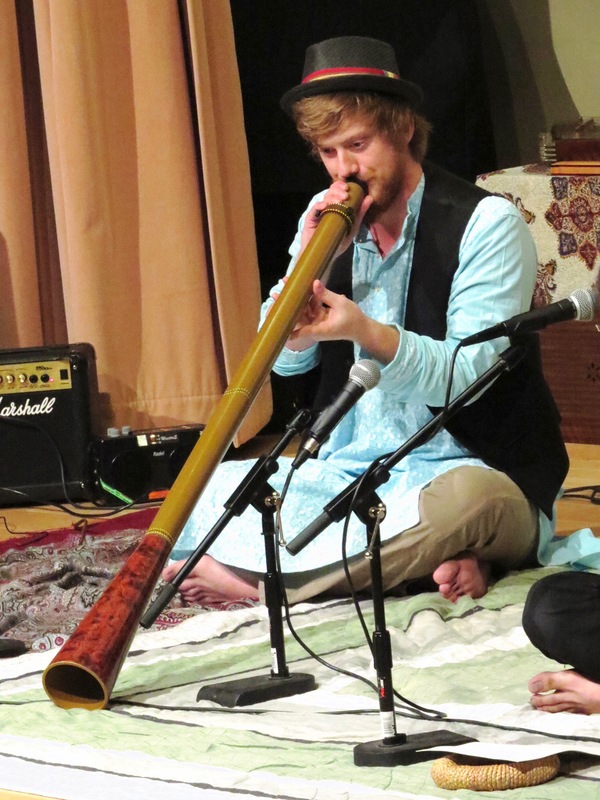 Price sings for the group and will play several instruments including tabla, or Indian hand drums. Other instruments featured will be the Iranian santur, tar, and daf. The santur is a hammered dulcimer, the tar is a guitar-like stringed instrument, and the daf is a hand-held drum. Members also play conventional western instruments like piano and guitar. Price said the Indian music featured will be different from what is usually presented by the Auburn Indian Music Ensemble, a university class that also performs for the series. He said this will be folk music from Bengal. The Bengali music sometimes resembles that of the Romani cultures of Eastern Europe, said Price. 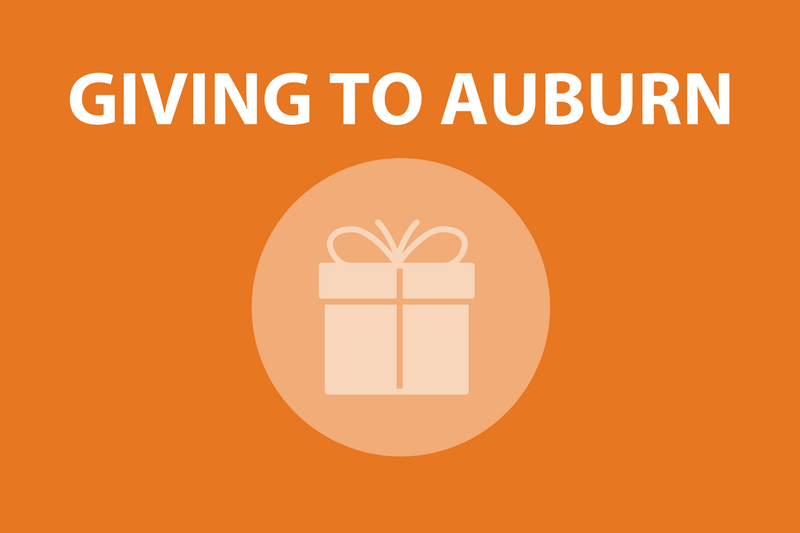 “It’s more like songs of poor people,” he said, comparing it to the more formal classical and semi-classical pieces presented by the Auburn Indian Music Ensemble. One song is of an indebted farmer working in the field. Another is from a fishing culture. He said it has a more tribal sound, visceral and earthy. There can be challenges working with people of different cultures toward a common goal, like a concert, said Price. Though English is the common language, he said members have to work to understand each others’ accents, expressions, and basic cultural assumptions. Mirroring members’ communication subtleties are the music’s own cultural nuances, said Price. “Sometimes different cultures’ rhythms don’t translate naturally,” he said. For instance, a certain kind of groove or rhythmic sequence in Turkish music might be different enough to make it very difficult to grasp by someone from the US. Price said one of the goals of the group is to help cultures understand each other. This applies to members of the group as well as audiences who hear the music. “We are using the music to kind of let those relationships get built,” said Price.